A beautiful day, a lovely setting, nothing to worry about except getting off to a good start in her new job at Children’s Hospital — Tracy Scott had seldom been more pleased with her life, more eager for whatever the day would bring. And then in a period of seconds, her world changed drastically, horribly. She was launched on an adventure that would test her nursing ability, her courage, her self-confidence, to the utmost. In the weeks that followed, Tracy was faced with overwhelming problems. How could she ease the sorrow of Dave Mathers, make little Tim Mathers wish to live again? How could she win the respect of Miss Burke, the cold and hostile superintendent of nurses? And how could she defend herself against an accusation so terrible that it could end her career as a nurse, even send her to prison? 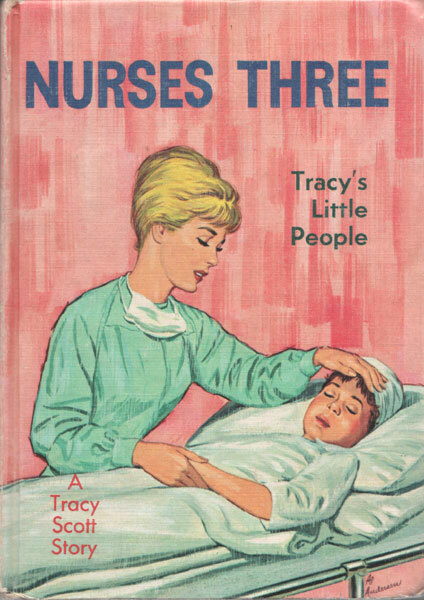 Tracy learns more about life and about herself than she had dreamed possible, among the little people, and the big ones, at Children’s Hospital.